Project title: What Will I Remember about this year? 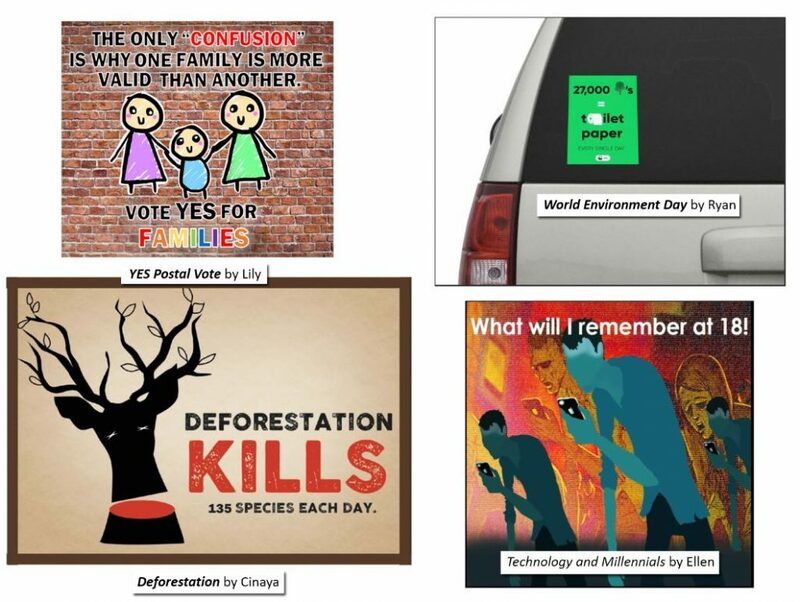 In Year 11 Visual Communication Design students interpret the Design Process and write a Client Brief to produce a ‘Bumper-bar Car Sticker’ design solution. The key requirement is that the theme is in response to the students’ personal view on a contemporary social issue. We present some of the fine examples below.